Setting: Small, quiet, relaxing atmosphere on the Keweenaw Bay of Lake Superior. From a deck off the lake or the lake side lawn enjoy the beautiful panoramic view overlooking Keweenaw Bay with the Huron Mountains in the background. There is a public boat access approximately one mile away. 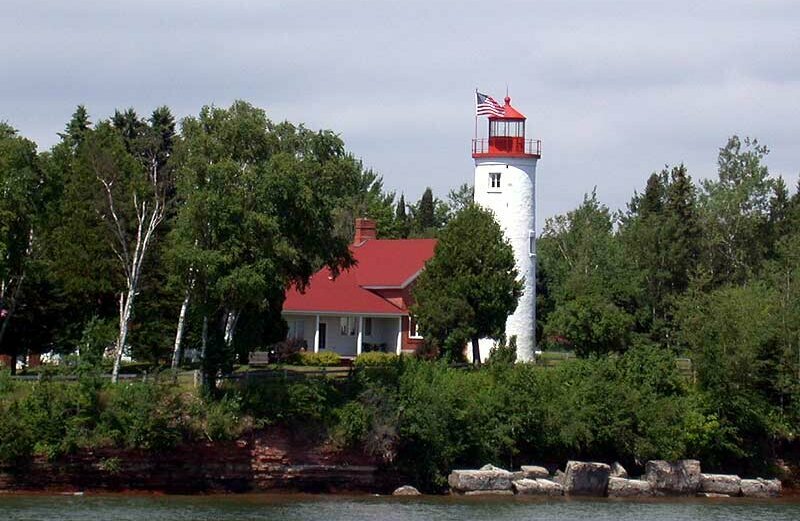 History & Unique Features: You’ll be staying in the original Keepers Quarters of the Jacobsville Lighthouse (the old Portage River Lighthouse), built in 1869. See the old schoolhouse and restored 1888 church with summer services. Walk to a county park with a sand beach and the active 1920 Portage River Lighthouse. Meals: A full sit down breakfast is served every morning.